Nocatee’s first town center neighborhood has brought lots of excitement to the best-selling community in North Florida. 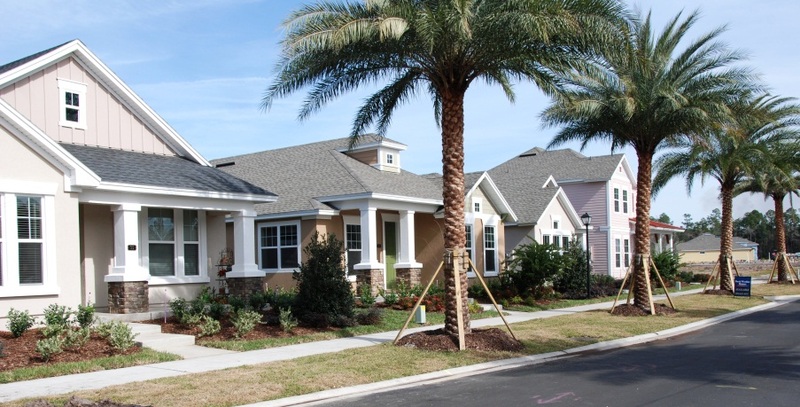 David Weekley Homes at Enclave at Town Center has welcomed home almost thirty new homeowners in the last four months. David Weekley Homes offers homes in two distinct styles at Enclave – The Garden Series and The Cottage Series. Each features 4-5 different floorplans and offers a wide variety of options & upgrades, all with a coastal flair. These neo-traditional homes range from 1,250 sq. feet to 2,000 sq. feet. Many of these homes have unique features, including rear alley entry garages and front porches. David Weekley’s second model home - The Cottage Series’ Whimbrel Model - is expected to be open late March. The Garden Series’ Ibis Model is now open and available to tour. Stop by Enclave’s Ibis Model to hear more about the conveniences of living in Nocatee’s first Town Center neighborhood. For more information on this neighborhood and others, contact 1.800.NOCATEE or visit the Nocatee Welcome Center.